Simply put, we’re entertainment junkies. But can we learn something from our insatiable addiction to stories? Series edited by Timothy Keller, Collin Hansen, Foreword by Timothy Keller. The average American watches 5 hours of TV every day. Collectively, we spend roughly $30 billion on movies each year. From horror flicks to rom-coms, the tales we tell and the myths we weave inevitably echo the narrative underlying all of history: the story of humanity’s tragic sin and God’s triumphant salvation. This entertaining book connects the dots between the stories we tell and the one great Story—helping us better understand the longings of the human heart and thoughtfully engage with the movies and TV shows that capture our imaginations. Part of the Cultural Renewal series. 2. How Far Is Too Far? Mike helps us make sense of what is true and good in the stories our culture consumes, and he does it without leading us toward syncretism. With the amount of TV and movies our culture devours, this book is a must read. 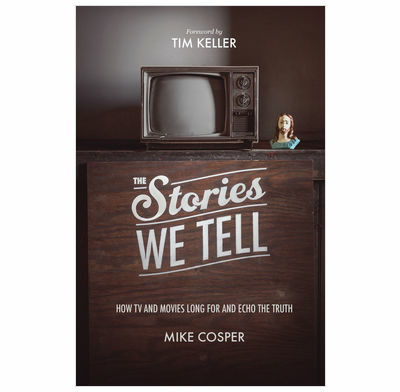 Like Paul at the Areopagus, Mike Cosper walks through the cultural artifacts of our entertainment industry and effectively says, ‘I can tell by your sitcoms and dramas and even your romantic comedies that you are a storytelling people who long for more. Let me introduce you to the Storyteller you don’t even realize you long to know.’ The result is a book that will change how you watch TV and movies. But more importantly, this might change the conversations you have with your neighbors. Cultural engagement is a delicate but necessary balance for all who claim Christ. Mike Cosper insightfully examines narratives in pop culture to reveal the larger story of God at work in the human heart. This book is a must read for pastors and all those who seek to engage the culture with the powerful story of the gospel.